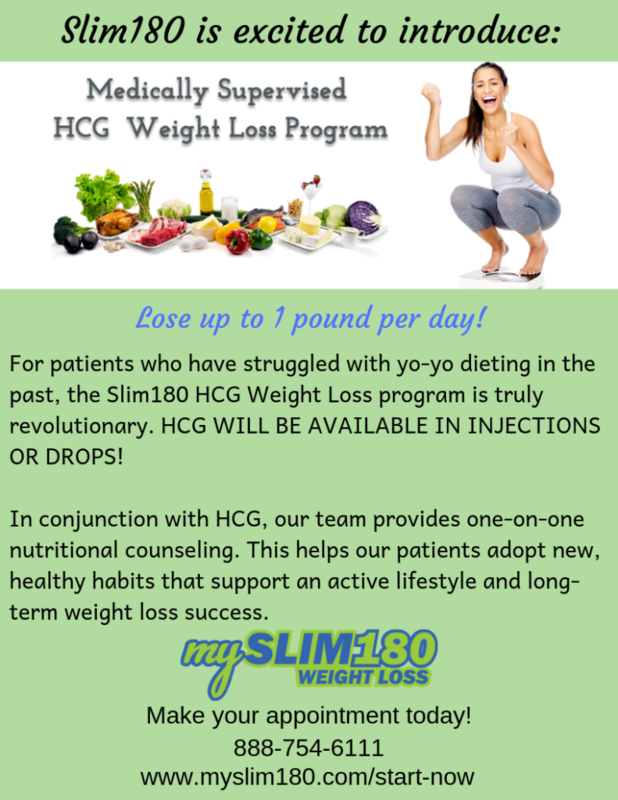 In addition to the well know and very successful Nutrition Based Weight Loss programs offered by Slim180, we now offer a Medically Supervised HCG Weight Loss program to the St. Louis area, available now at all 6 area Slim180 Locations. For patients who have struggled with yo-yo dieting in the past, the Slim180 HCG weight loss program is truly revolutionary. This is a brand-new approach to losing and maintaining weight loss. Most importantly, in conjunction with HCG injections, our team provides nutritional counseling and lifestyle advice. This helps our patients adopt new, healthy habits that support an active lifestyle and long-term weight loss success. The HCG diet is not a “fad diet” that promises big results but fails to deliver. Our Slim180 counseling services support long-term weight loss success with the HCG diet. By proactively addressing and correcting unhealthy eating habits, we can help make your weight loss permanent. There are no calories to count or complicated meal plans to follow. Instead, we teach our patients to make smart food choices, cut out hidden sources of added sugars and fats, and embrace whole foods. Our behavioral modification services help patients stop the negative patterns of thought and action the lead to weight gain. Start Now! Lose up to 1 pound per day! HCG will be available in injections or tablet.